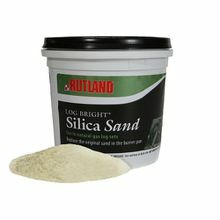 Use this approved silica sand to replace the original sand that came with your natural gas log set. Not for use in LP gas units. Spread sand to fill burner pan to a level near top. Make a small hole down through sand for the pilot light. * Available in 4 / case.